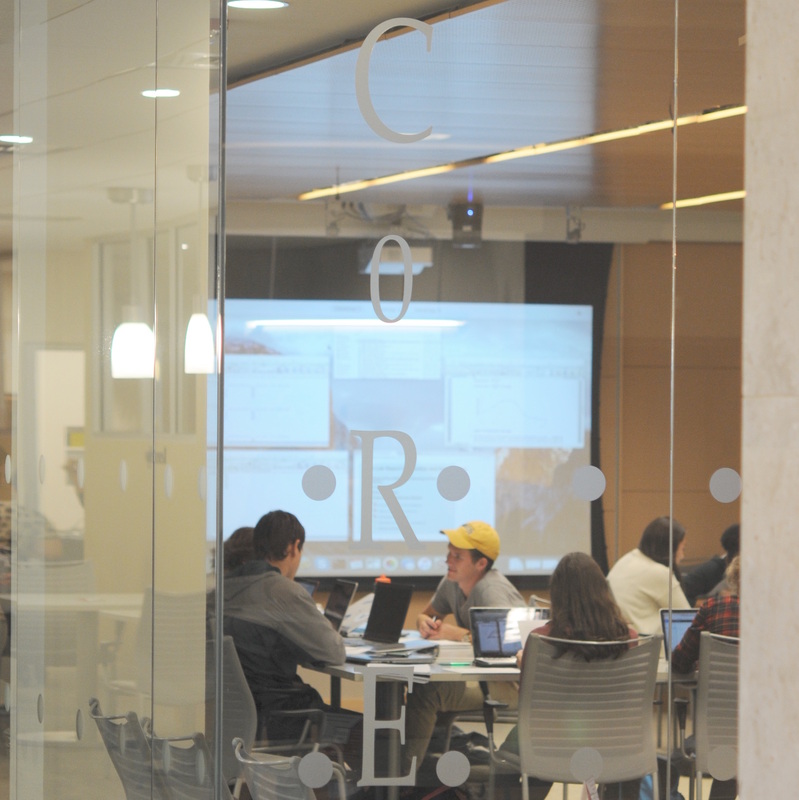 More than an environment, CoRE is a collaborative research experience. 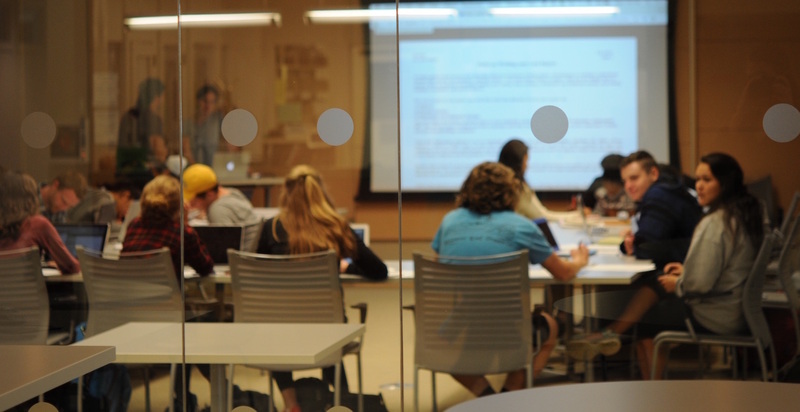 When it opened in January of 2012, Wooster's CoRE was imagined to be a space where students could work together on the projects that reshape what it means to lead undergraduate research. Now in its fifth year, we want to extend that mission by broadening our conceptions of the College of Wooster's CoRE. 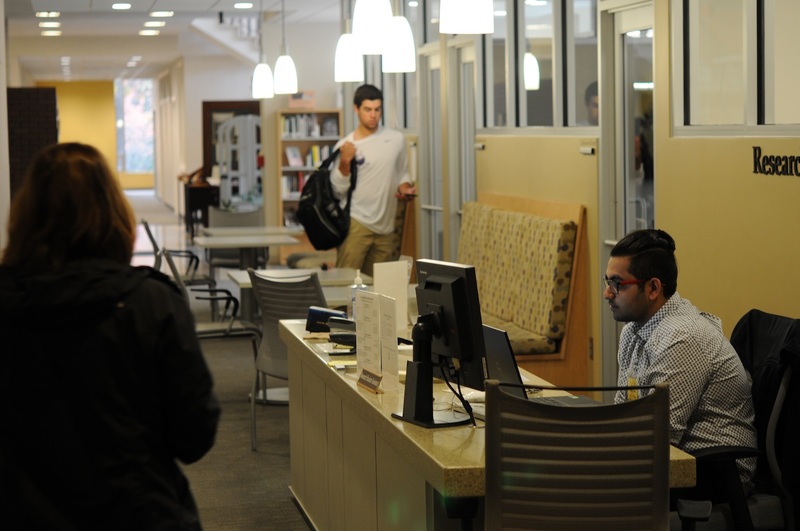 More than a space, CoRE is growing into an ideal that is, appropriately, central to Wooster's Core Values and their attendant Graduate Qualities. Simply put, CoRE is not only the space in which innovative research happens, it also represents the means by which that work happens. CoRE is where the next generation of IS will be born anew, year after year. 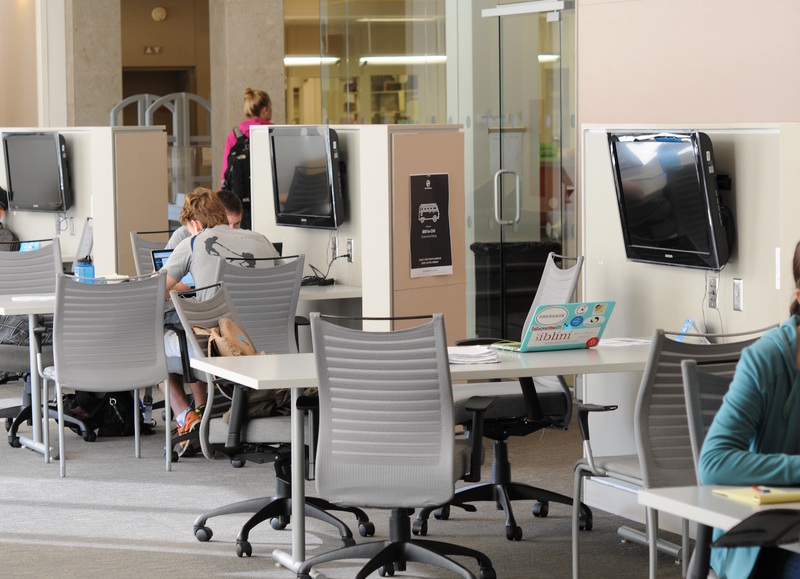 Share your ideas on a whiteboard, share your screen in CoRE or in a Collaboration Room. Think together, plan together, make your projects together here in CoRE. You've got an assignment, maybe you've got an idea. Now what? The best projects start with solid research. It's one of the reasons you've come to The College. Researching with your question is one part, but you'll also need to research your process. CoRE can help with both. The Wooster One-Button Studio is studio quality video creation at the push of a button. Want to be the next Gene Demby? Terry Gross? Ira Glass? Make podcasts, record voiceover, listen to yourself talk in the Sound Studio. An editing suite for all of your digital media projects. Make your media in the OBS or the Sound Studio, then make it awesome here. Get your digital production questions answered here. Planning a paper? Revising one? Drafting a script for your podcast or video project? Deciding what text from your 78-page IS to include on a poster? This is your place. This is where the magic begins. Get help starting your research projects here. For thinkers, makers, doers, questioners, essayists, tinkerers, innovators. Wooster CoRE Website by College of Wooster is licensed under a Creative Commons Attribution-ShareAlike 4.0 International License. Based on a work at https://html5up.net/landed. Permissions beyond the scope of this license may be available at https://www.wooster.edu/academics/libraries/.